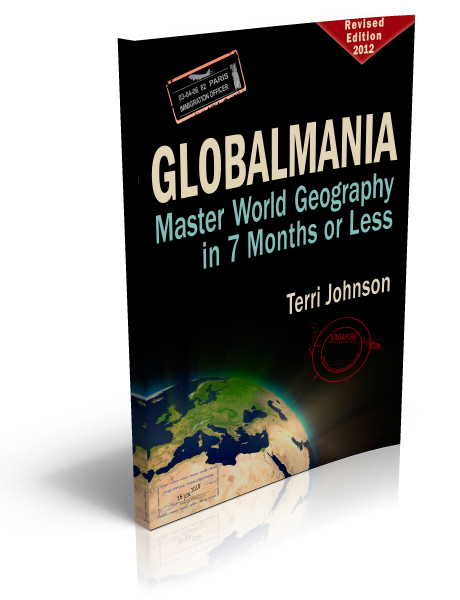 In an effort to rid the world of geographaphobia, we are pleased to offer our very popular ebook titled GLOBALMANIA: Master World Geography in 7 Months or Less - retail value $14.95 - free of charge. We hope that you take us up on our challenge and enjoy your learning moments together. To speed up download times, we've broken the Globalmania ebook into multiple parts for easier download, if the above link is too sluggish for you. If you have any trouble with any of the files, send an email to helpdesk@kqpublishing.net.